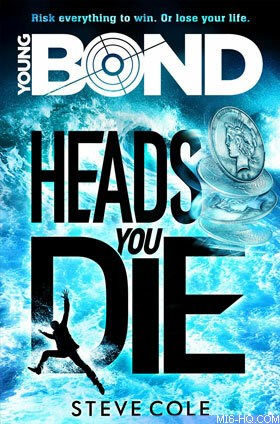 The explosive action continues in Steve Cole's second Young Bond adventure... James's Cuban holiday has become a nightmare mission to save an old friend from a villain who has perfected 1,000 ways to kill. With corrupt cops and hired assassins hot on his heels, James must travel through Havana and brave Caribbean waters to stop a countdown to mass murder. Fates will be decided with the flip of a coin. Heads or tails. Live or die. What was the title of Steve Cole's first Young Bond novel? Terms & Conditions: The competition closes at midnight GMT on 25th August 2016. MI6 will choose the winners at random from the correct answers received. The winners will be contacted via the email address supplied and their postal address will be requested. If a winner fails to respond within 7 days of prize notification, another winner will be chosen until all prizes are allotted. 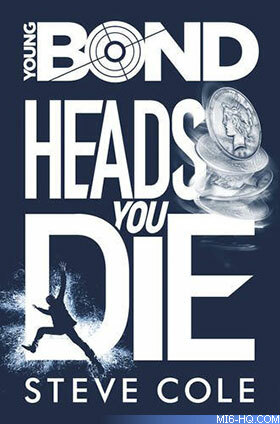 Competition is open to MI6 readers worldwide. Entrants must be at least 13 years of age.